iPhone 6 Price in Nigeria: If you're wondering how much is iPhone 6 in Nigeria, then we've got you covered. This legendary smartphone from the California-based Brand, Apple, launched in 2014 has been making waves not only because of the quality features that make it a high-end device, but because it is a mobile app developer's choice smartphone. 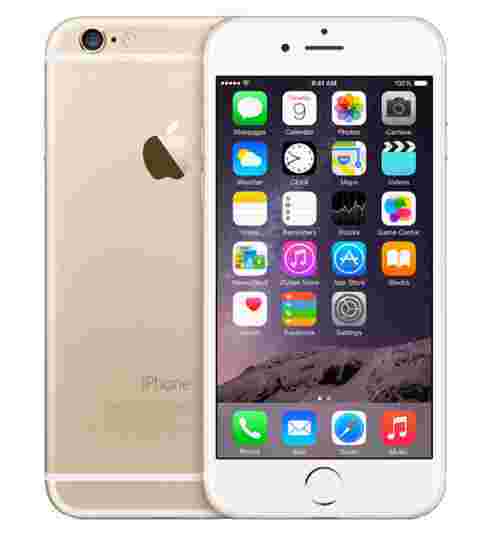 The iPhone 6 price in Nigeria currency varies significantly as one moves from one variant of the device to the other. The listed above is based on the current iPhone 6 Price in Nigeria Slot and Jumia retail stores, but their prices at launch were $649 (£539), $750 (£619), $850 (£699) for the 16GB, 64GB, and 128GB models respectively. Keep in mind that the dollar to Naira exchange rate is not stable, thus the price for each is bound to increase or decrease with time. Specs of the iPhone 6 that will give you a run for your money or make you wonder if it was actually worth almost robbing a bank to purchase it😒. After selling the same device for four years in a row and almost losing out in the smartphone market competition, Apple incorporated the best features into the next iPhone being the 6, to make it a comeback device. Instead of the iconic small screen as is the case of older models, this model sports a larger screen as well as other improved features such as camera, battery, OS and overall design. The iPhone 6 features an IPS LCD screen that is 4.7-inches, with a resolution of 1334 x 750 pixels and a pixel density of 326 pixels per inch. The small screen size screams portability, while its high resolution ensures that texts and graphics displayed on the screen are of high quality. The screen's scratch resistant property also ensures that the display is not easily marred especially when it comes in contact with rough surfaces, and its oleophobic coating disallows oil and dirt from the face and fingertips to be visible on the screen. The body of the iPhone 6 is made from plastic, it has a dimension of 138.1 x 67 x 6.9 mm (height x width x thickness) and weight of 129g. Its lightweight can be attributed to its build material, battery and overall size, making it one of the lightest smartphone you'll ever handle and most remarkably, one of the thinnest out there. Sporting a plastic build instead of a metallic one at its sides might make it look less sleek and premium, but being a phone designed in 2014, one may not bat an eyelid to this downside. These premium colors are limited since the brand no longer sells the phone directly, hence you may have to settle for the least preferred color that still meets your eye. The iPhone 6 runs on a 64-bit dual-core A8 processor with a processing speed of 1.84 GHz. 50% faster than older models of the Apple iPhone, this processor can carry out tasks more swiftly thereby bringing about a high and acceptable level of performance. The Apple 6 is available in different models that are dissimilar in terms of internal memory storage. These are models with 1GB RAM featuring an internal memory storage of either 16GB, 32GB, 64GB and 128GB respectively. This inbuilt storage of the iPhone cannot be expanded using a microSD card, hence the variant you're most likely to purchase should have a memory that is as high as possible to meet your storage needs. In terms of the iPhone 6's OS, it is powered by Apple's custom operating system, iOS8, where the 32GB variant of the smartphone launched in 2017 now runs on iOS10. Although the 32GB variant comes preinstalled with iOS10, users of other variants of the iPhone 6 can still update their smartphone to the newest iOS11 version. Apple's OS like Google's Android is unarguably one of the best in the world, with several reasons to back its popularity. Its user interface is very friendly, giving ease of navigation through files, folders, apps, and games. With Siri5 AI, you can use your voice to send messages and set reminders, as well as listen and identify songs. The iPhone 6 camera features include an 8MP camera at its rear and a 1.2MP front camera with a f/2.2 aperture. Although the resolution of either camera is low, the iPhone 6 boasts of one of the best camera ever on a smartphone, offering image quality that is higher than that produced on a device with 12MP to 16MP cameras. The actual figures for the resolution of its camera should not be a thing of worry, as less, in this case, does not mean its inferior; rather, it speaks of quality over quantity. Other camera features of the iPhone 6 that make for well-enhanced pictures and videos include Burst mode, Exposure control, Backside illumination sensor, Sapphire crystal lens cover, Auto HDR, Panorama, Focus Pixels, Face Detection, Geo-tagging, Digital Zoom, HD Video Recording and Slow-Mo (120 fps or 240 fps). The iPhone 6 battery capacity is 1,810 mAh and its battery is non-removable. Like its camera resolutions, Apple is not one to go big on paper but the actual functionality of the phone in real-life. The iPhone 6's battery at that capacity can still offer a long battery life and on moderate use, you can have enough power to run your apps, games, multimedia files and still have enough juice left over. It can provide standby time up to 250 hours (3G), talk time up to 14 hours (3G), and music play time up to 50 hours. The iPhone 6 is a single SIM smartphone that makes use of a Nano SIM. Its connectivity options include Bluetooth, Wi-Fi, GPS, NFC, 3G, and 4G. Its sensors are Proximity, Compass Magnetometer, Accelerometer, Ambient light, Gyroscope and Barometer sensors. To think that this was a company that began in a garage with a team of three (Steve Jobs, Steve Wozniak, and Ronald Wayne), Apple smartphones like the iPhone 6 are more than remarkable.